It is always fun when you walk into a store without knowing just what you will find. That was the case when in the town of La Porte City, Iowa and stopped by The Real Deal where Chad Van Dyke auctioneer, motor cycle rider, antiquer and funny car enthusiast has his shop. 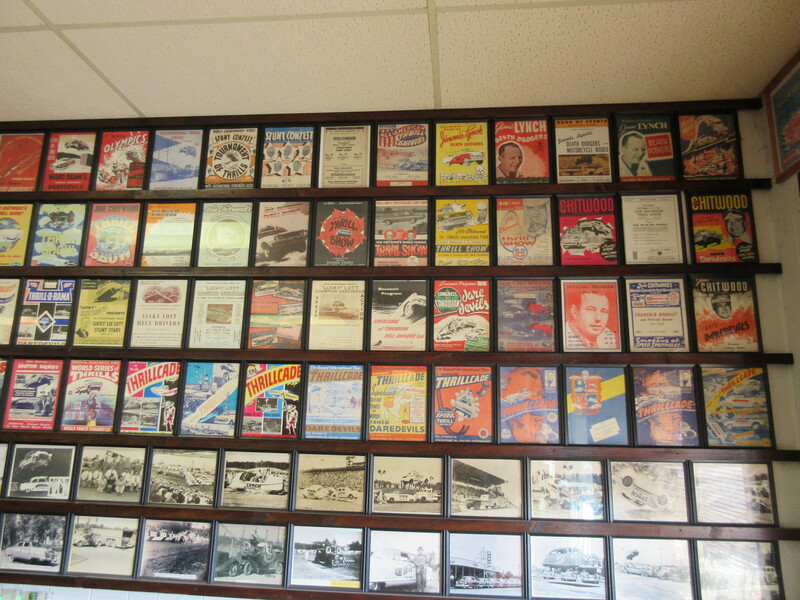 Inside the shop Chad has opened the Auto Thrill Show Museum which profiles years of collecting. In his biography Chad said as a youngster he spent weekends with his grandfather traveling Iowa to attend horse races and fairs during the late 50’s and into the 60’s. “One might think I would fall for the four-legged beast, instead, I was drawn to the added attractions at these great events which drew hundreds and even thousands from all around,” he sadi. Some of the entertainment that drew Van Dyke were the Auto Daredevils. At 14 he bought a bike and that is a love affair he is still having today. He admitted that when deciding whether to open the shop or not is dependent on the weather. If it is a good bike riding day well…. 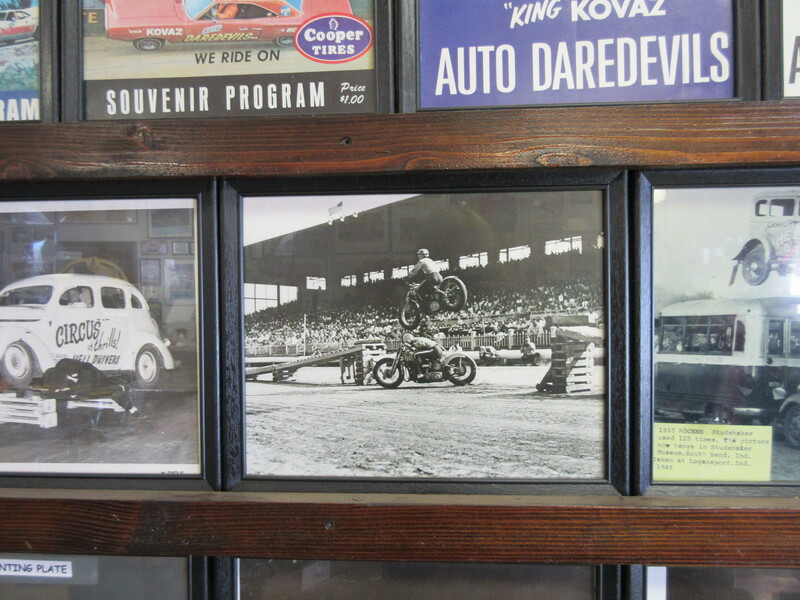 Over the year’s Cad Van Dyke has raced cars been an announcer and today visitors can enjoy the years he has collected this unique memorabilia in his shop and museum. Retired from John Deere, Van Dyke worked as a special investigator in Quality Assurance at the Waterloo plant for 30 years. He has lots of tales to share so take a minute and stop by and see “The history of Thrills, chills & Spills! Located at 301 Commercial Avenue, call 319-342-3300 if you have questions or log onto http://thrillsamerica.com.